As a child my brothers and I often played on and around the Devil Steps. 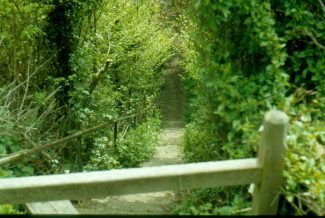 Local residents would tell many different tales of how the steps came by such a mysterious name but folklore told the story that pedestrians who had to ascend such steep steps could be heard uttering words only fit for the devil’s ears. It is known that in Elizabethan times, the low ground at the base of the steps used to be a brickfield. The bricks made there were used in the building of ‘Jarvis Hall’ and probably part of St Mary’s Church. ‘Crescent House’ in Mount Crescent, is located at the top of the steps and my auntie lived there with her family. ‘Crescent House’ can be seen from Thundersley Park Road, at the summit where ‘Jarvis Hall’ is located. 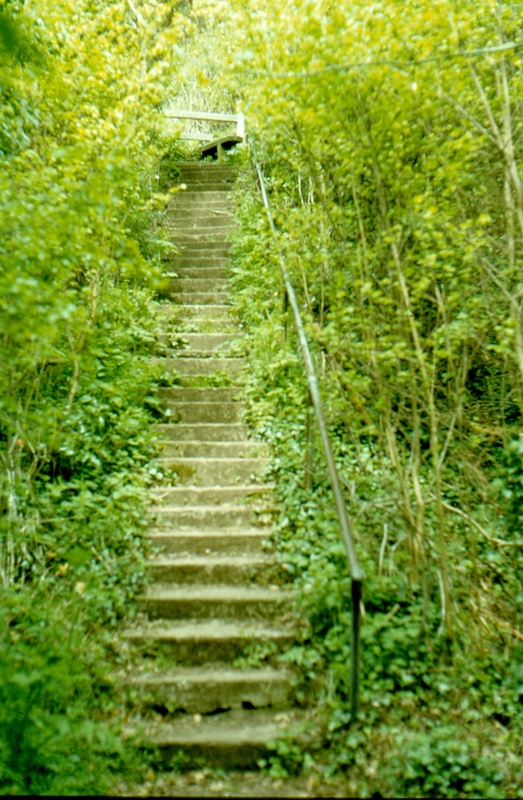 In the 1960s I remember the steps as being somewhat frightening and very, very steep. 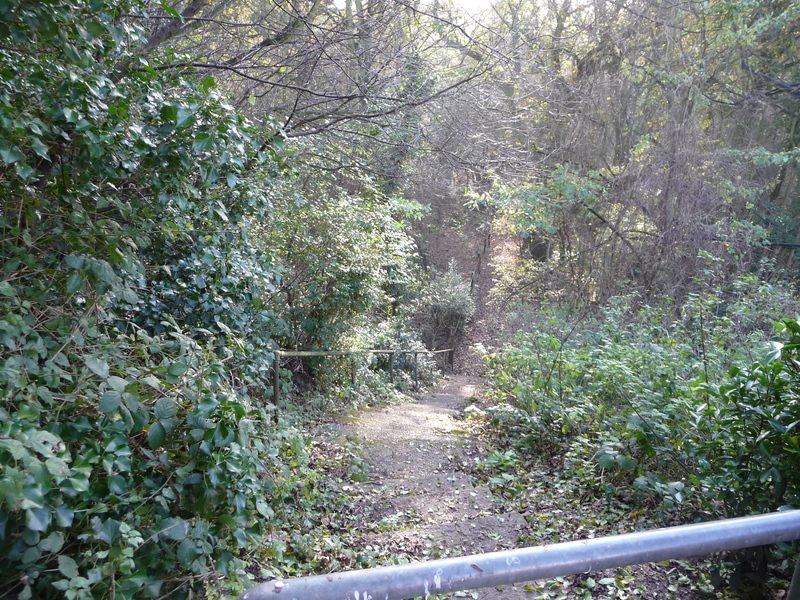 I also remember that the surrounding woodland was very dense at that time. The visit I made in 2010 to take an up-to-date picture left me with a completely different feeling. 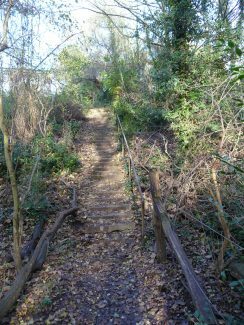 The steps no longer seemed frightening or steep and the woodland in the surrounding area was quite sparse. However, I did consider that this could have been the difference between the summer and winter foliage. Generally speaking, I felt quite sad that the steps had been allowed to fall into disrepair. No longer was it a place I felt frightened of but now I felt that it needed some special attention to bring things back to how I remember them. Perhaps a visit during the coming summer to take some new photos will highlight the difference 50 years can make to my childhood memories. I had no idea that the Devil Steps were as widely known as they are. I thought it was just a thing my friends and/or family concocted. I grew up in 199 Thundersley Park Road from 1985 onwards and it’s good to see the old haunts are older than I’d imagined. I too used to sometimes play around the devils steps, but mostly in the more interesting (to me) surrounding areas. I lived in the original 197 Thundersley Park Road. The bungalow was called ‘The Chimes’ and is what the current cul-de-sac is named after. I too used to play around the Devils Steps while growing up in the late sixties and early seventies. I used to live at 199 Thundersley Pk Rd. Just down from the ‘Bumps’ the ‘Butterfly Field’ and ‘Big Ben’. Great memories. Yes, whilst visiting the Barwicks at Crescent House, I have made a couple of trips up and down the Devils Steps, very interesting to read the history on this site. Les Carter, Batemans Bay, Australia. 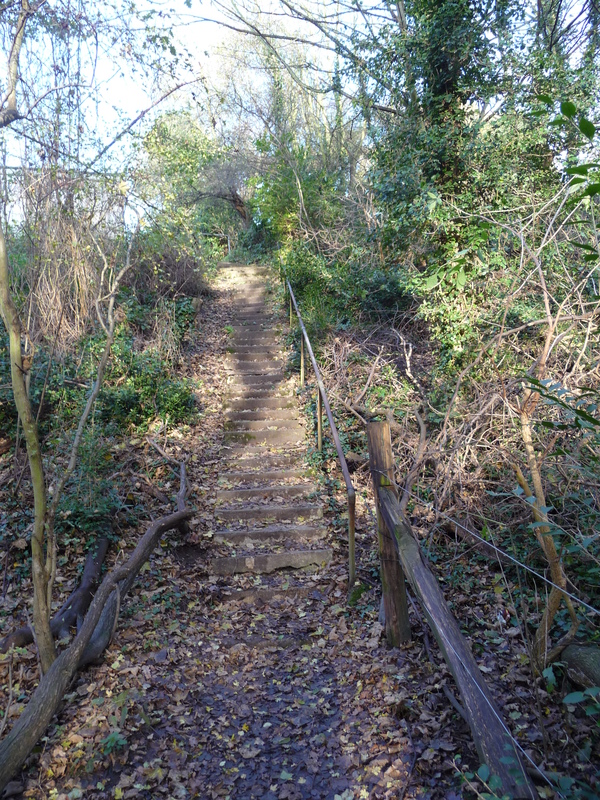 I too remember playing on the devil steps as a child (born at and lived in Thundersley Park Road). My older sisters told me that the devil lived under the steps and would ‘get’ you if you lingered on them! I ran up them 2 at a time – I must go revisit them soon and the surrounding woods! 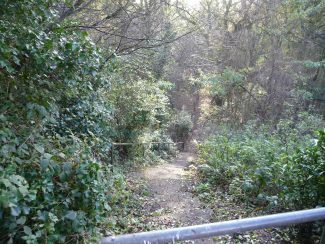 The Devils Steps form part of the ancient footpath from Bread & Cheese Hill, across Boyce, to St Marys Church Benfleet. 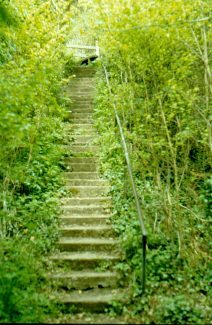 I always imagined they were called the Devils Steps because they were often used as an excuse during inclement weather (when the steps became treacherous) for Churchgoers to “back-slide”. I have lived in Benfleet for the past eight years, and now, due to a reduced work load I now find some time for walks. I heard about these steps from a work colleague who used to live around there some years ago, ain’t Google just wonderful…and BCA has been added to my favorites bar…Thank you. Hi. 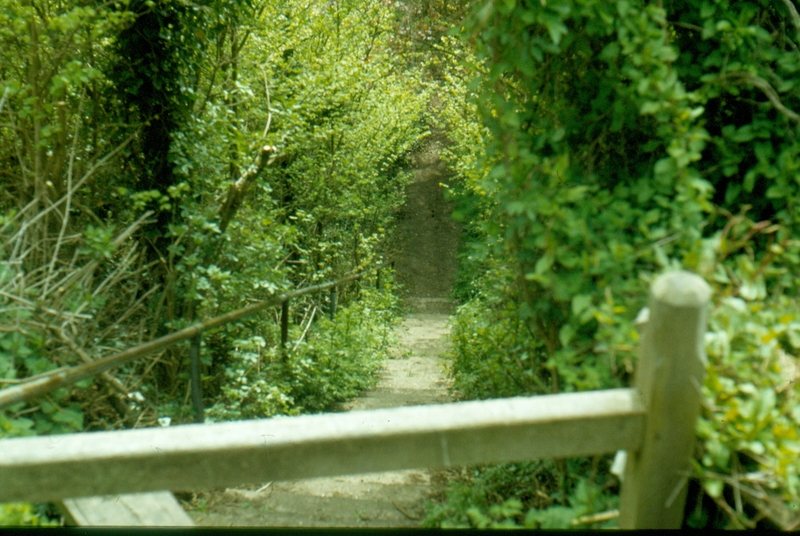 I was really pleased too find your photos of the Devil Steps, they are exactly as I remember them. As chilren we used to spend hours playing and exploring in that area. To my shame, I used to ride my pony up and down the Devil Steps…thankfully he was very sure footed and we never came to harm. I cringe to think of it now though! I used to live in Hill Road. Thanks for the memories. Best wishes. Carol.